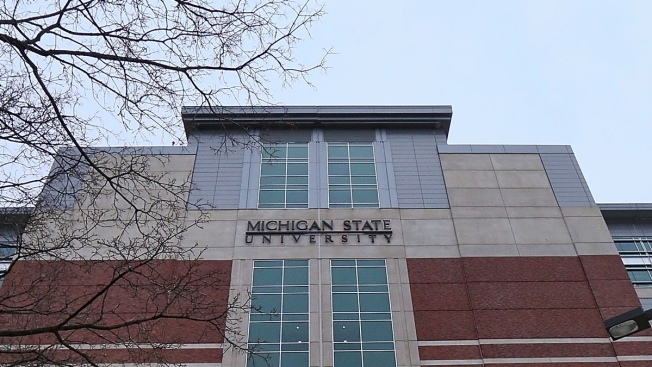 An exterior view of Spartan Stadium on the campus of Michigan State University on Nov. 18, 2013, in East Lansing, Michigan. The school's volleyball coach "is conducting business with ... a known sexual abuser," Hogshead-Makar wrote on July 21, 2017, to then-Michigan State athletic director Mark Hollis and to the school's then-general counsel, Robert Noto. She got no response. Butler sounded confident in a statement to PrepVolleyball.com after the Amateur Athletic Union canceled his membership, saying he emailed 600 families about the AAU action and that no families pulled kids from his programs. Those programs, he added, "will not miss a beat."